Rene Guerra announces his bid to run for District Attorney in 2018 at the Hidalgo County Courthouse Thursday, May 25, 2017, in Edinburg. EDINBURG — The former Hidalgo County district attorney who refused to take the Irene Garza case to trial said Thursday he wasn’t surprised the jury found John Feit, a former priest, guilty of the 1960 murder of the McAllen schoolteacher and beauty queen. 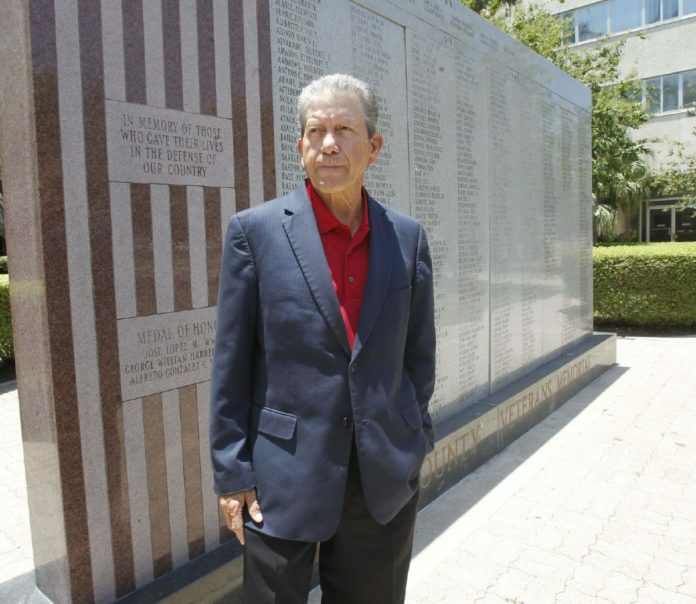 Guerra, the longest-serving district attorney in Hidalgo County history, alleged state District Judge Luis Singleterry admitted evidence that won’t hold up in an appeals court. Guerra has long been haunted by the case, which likely contributed to his election loss in 2014, when current DA Ricardo Rodriguez Jr. unseated him after promising to pursue the case. Rodriguez, who has now successfully brought the case to trial, equated Guerra’s decision to not try the case with a lack of compassion at a news conference Friday. Guerra said Thursday he did not regret his decision. The former DA does not believe Feit’s guilty sentence will affect his chances in the upcoming election. Both he and Rodriguez will once again face off as Guerra attempts to regain the position he held for over three decades. Guerra went on to question the timing of the trial, which took place just three months before the upcoming election. On Wednesday, Rodriguez launched his re-election campaign with a gathering at the Pharr Events Center. The event was filled with a who’s who of Hidalgo County, including politicians, business people and other high-profile figures.